Minister of Justice Rein Lang replied to the interpellation (No. 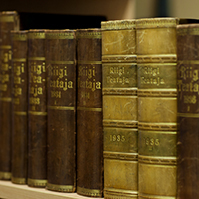 248) concerning the availability and quality of medical care in prisons, submitted on 17 October by Member of the Riigikogu Avo Üprus. Minister of Justice highlighted statistical data about the spreading of diseases in prisons. Mr. Lang explained that from the year 2004 medical departments of all prisons had been brought in conformity with the requirements established by Minister of Social Affairs for providing specialised outpatient medical care. The medical departments of all prisons meet the requirements approved by the regulation of the Minister of Social Affairs concerning the rooms, equipment and instruments of a family doctor. 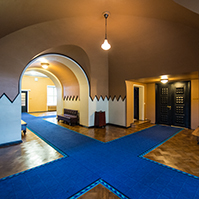 Since 1 July 2005, the stationary unit of the Tallinn Prison Health Department has been situated in Maardu, with rooms and furnishings meeting the standards established by the Minister of Social Affairs. 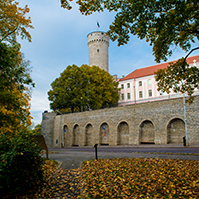 Stationary psychiatric aid is in conformity with requirements and provided in the Tartu Prison, while additional stationary psychiatric forensic medical examinations are also carried out. Mr. Lang stressed that all the health care professionals who work in prisons have been registered in the State Register of Health Care Professionals, .pursuant to the Health Care Services Organisation Act. “The purpose is to provide imprisoned persons with health care services which are equal to the health care services and conditions offered in freedom,” Minister of Justice explained. Pursuant to § 107 of the Imprisonment Act, the professional supervision in the matters of social and health care affairs is exercised by the Minister of Social Affairs. Mr. Lang said that one of the main difficulties in prisons’ health care system was the lack of qualified health care professionals which was also the problem outside prisons. 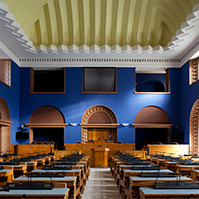 As of 1 October 2006, approximately one fourth of positions in the health departments of Estonian prisons are vacant. Pursuant to the Imprisonment Act, a physician is obliged to constantly follow the medical status of imprisoned persons, and if an imprisoned person needs medical treatment which cannot be provided in the prison, he or she would be sent for treatment to the appropriate specialised medical care providers. 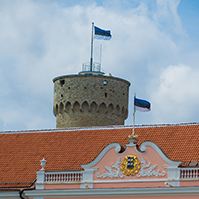 Agreements concerning rendering medical services have been concluded with the Central Hospitals of Eastern and Western Tallinn and also with the Northern Estonian Regional Hospital. 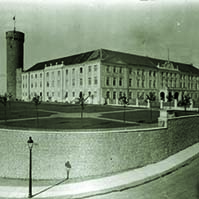 Mr. Lang stated that the general health of imprisoned persons in the Estonian prisons might be valued as bad. “The reason for this is certainly not the medical care provided in prisons, but the lifestyle and environment of imprisoned persons prior to their imprisonment,” the Minister of Justice said.